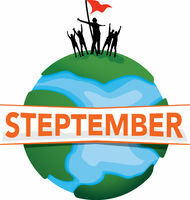 Access Rehab Equipment is proud to have supported the Steptember campaign for the third consecutive year! Steptember is a fantastic organisation which raises fund for children with Cerebral Palsy (CP). CP is the most common physical disability in childhood. Around 34 000 Australians have CP, and 17 million worldwide! This disorder affects movement and posture. There’s so many fabulous charities out there asking for money! Why do we care so much about Steptember? A child is born with CP every 15 hours. That’s huge! We had a blast stepping up for Steptember this year! 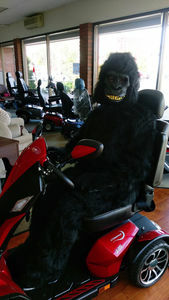 There were a range of creative ideas used to raise awareness and funds - We even had a gorilla in the office for a day to raise funds! Access had two teams, and together we raised a total of $2,211.63! Throughout the challenge we clocked a combined 1,976,215 steps! Check out our photos of some of the fun we had! Next Post: How do I Engage an Occupational Therapist?